We’re pleased to announce that Lis Hough has been appointed as the Care Expert Lead for ACM. With a professional background in Occupational Therapy, Lis has worked at Anglia Case Management for over 9 years; in addition to her role as a Care Expert and leading the Care Expert team, Lis is also an experienced Case Manager. Annie Lintern and Sarah Moss have joined the Adult Case Management Team. Annie and Sarah are both Occupational Therapists by background; most recently Annie worked as an OT in the NHS in acute, outpatient and community settings and has extensive experience of working with clients with neurological conditions or complex orthopaedic presentations. Annie also has specific experience and knowledge of manual handling. 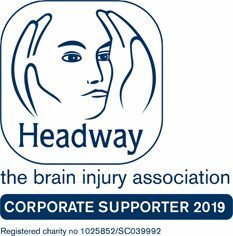 Sarah is primarily a Neuro Occupational Therapist, she has worked within Physical Disability and Mental Health Services in the statutory sector, and has considerable experience of working with clients with brain injuries. Her combined physical disability and mental health experience will be very useful in managing our clients who have a complex presentation. Zoe Biginton is a nurse who has worked with children with neurological disabilities at both the East Anglian Childrens Hospice and Great Ormond Street Hospital; she has joined our CYP team. They will all be working with clients in East Anglia and into London. For further details about Annie, Sarah and Zoe, or any of our Case Managers, please see their individual CVs on the “Our People” page. This year ACM took part in a Reverse Advent Calendar in aid of the Gatehouse project, based in Bury St Edmunds. Staff gave up Christmas traditions such as Secret Santa and Christmas cards, and instead they donated items including essentials such as pasta, rice and soup, toiletries, and also special Christmas treats. 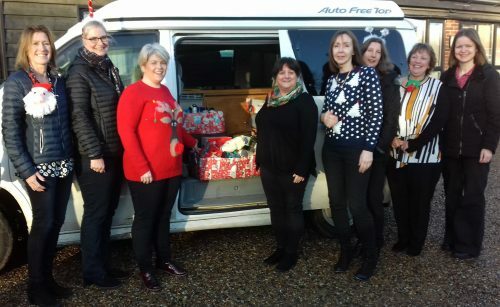 In addition to operating a Foodbank throughout the year, the Gatehouse Christmas project provides hampers to those in need, and also a Christmas lunch in Bury St Edmunds. Pictured below are Sue Stoten, Jo Forrest, Vic Leever, Eunice Joel, Amanda Bailey, Caroline Houston, Sue Taylor, and Naomi James, with the boxes of donations. 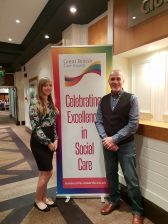 A great night of success at the recent Eastern Region Great British Care Awards, celebrating the achievements of our amazing staff – 2 winners and 7 finalists. 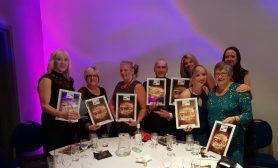 Many congratulations to Gary who won the award for Home Care Worker of the Year and Helen who won the Front Line Leaders Award. Pictured below are Helen, Jane, Angela, Gary, Kayleigh, Harriett, Sonia Collin (Care Co-ordinator at Anglia Case Management) and Linda Sayers (Registered Manager at Anglia Case Management). We’re delighted that our Registered Manager Linda Sayers and several of our Support Workers are in the finals of the Eastern Region Great British Care Awards, having been nominated by ACM. They have all had interviews and now await the decision at the Awards Ceremony on 15th November. Pictured below are Harriett and Gary who are members of a team of Support Workers, who support one of are younger clients. We’re really proud of all them all, and its great to see their work formally recognised. Many congratulations to Karen Patient who has recently been awarded Advanced Registered Practitioner status with BABICM (the British Association of Brain Injury Case Managers). As part of her application for Advanced status, Karen had to undergo a peer review assessment and also provide evidence of her experience, expertise and professional development relevant to her practice as a Case Manager. Karen’s new status brings the number of Anglia Case Management Advanced Registered Practitioners to 11.